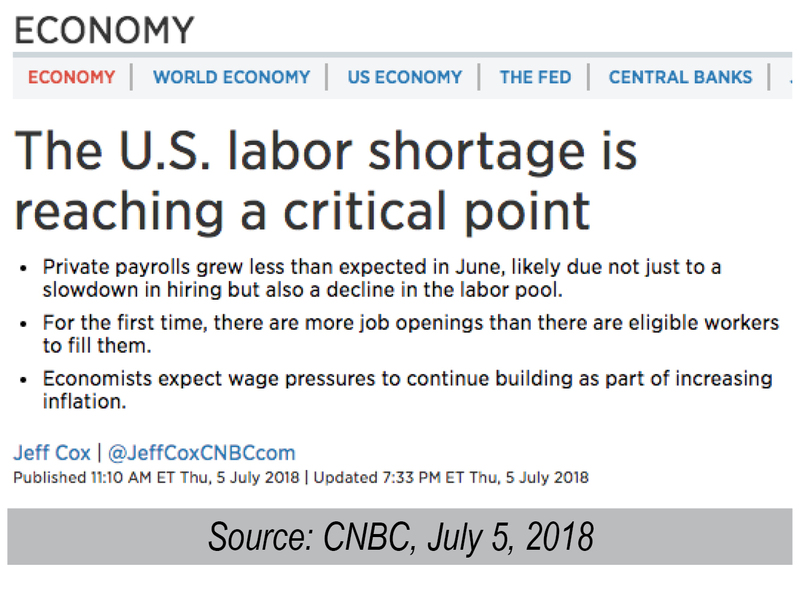 In fact, we have escalated the “housing shortage” into a “housing crisis.” Soon, and we might already be there, we will have a “worker” crisis. 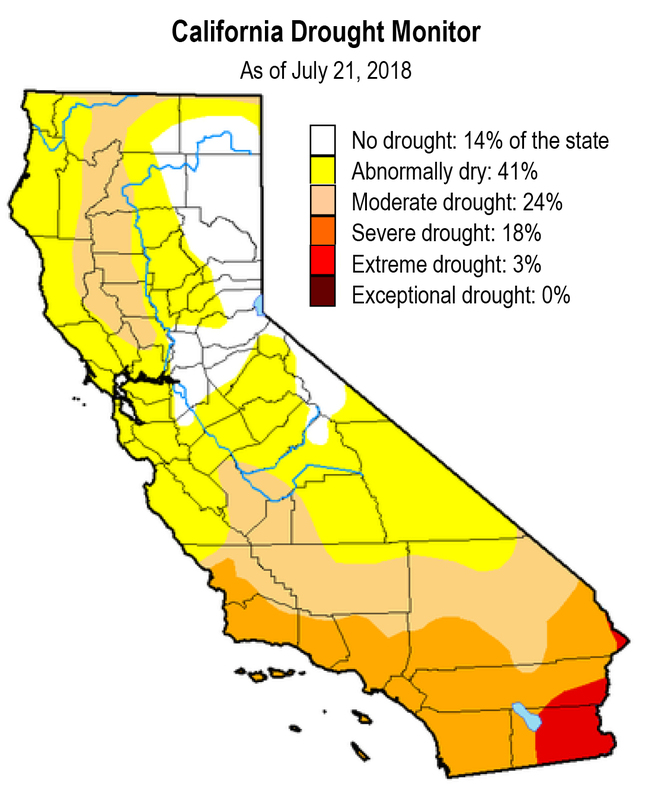 Despite the end to the drought in Northern California, we still refer to the issue of water as the water shortage here in Southern California. Why Do We Call it a Shortage? 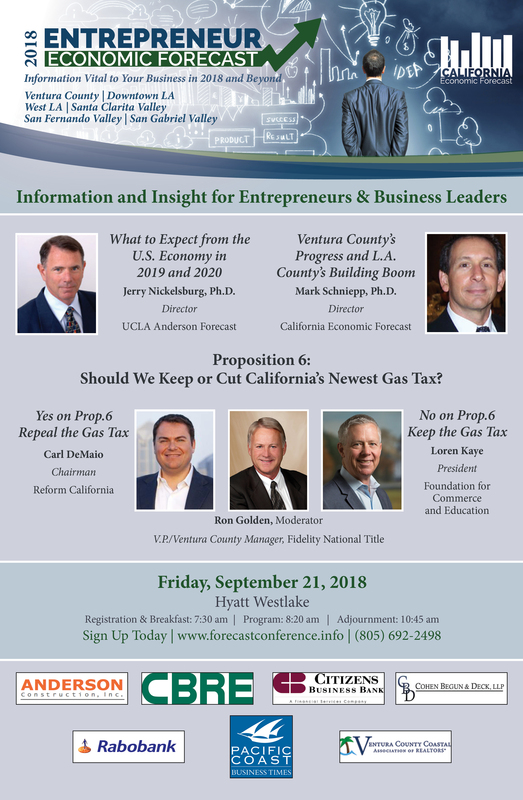 In the case of workers, the unemployment rate has declined to 3.9 percent nation-wide, and 4.2 percent in California, both at their lowest levels in a generation or more. In Los Angeles, the unemployment rate has now fallen to the lowest level in 50 years. Workers are tough to recruit, both skilled and unskilled. Often times employers have to offer a lot more pay for the same position or accept lower or un-skilled candidates for that job, or both. In the case of housing, the current pace of demand is faster than the pace of supply, and this is causing ever increasing prices for rental and purchase housing. Inventory levels of for-sale housing are at 10 year lows. Apartment vacancy rates are extremely tight everywhere you go and in many areas are at record lows. In the case of water, water purveyors and cities have called for extreme conservation measures to reduce water use. No lawn watering during the day (or at all), shorter shower times, low flow faucets, elimination of gardens, etc. Many municipalities have increased water rates to pay for higher cost water systems or to finance water banking or storage. Is it Really a Shortage? In a capitalistic and competitive economy, there are no shortages. Markets “clear,” meaning that the price is the allocating factor when there “appears” to be a shortage. People generally proclaim a shortage when the price rises sharply or beyond traditional or affordable levels. A true shortage would occur if the price was fixed and demand was greater than supply. Then people who wanted the good would only be able to get it by some other allocation method other than price, such as by lottery or having to wait in a queue for more of the good once it was produced. Price would not be an allocating factor but you standing in line would be. Or you successfully bribing the distributor of the good to provide it to you for an amount above the fixed price. So a shortage only occurs when you cannot obtain the good or service when you need it or want it (and you are willing to legitimately pay more for it), allowing perhaps for some transitional time for errors in inventory or delivery lags or whatever. If it’s not a Shortage, Then What is It? It’s called market clearing: the forces of supply and demand and the end result: price appreciation. That is how capitalistic economies allocate scarce resources. Right now, housing is scarce in California, labor is scarce all over the nation, and water is particularly scarce in Southern California. How do we eliminate scarcity? We allow the price to rise and allocate goods through the price system. If you have $1 million, you really don’t face a housing shortage. 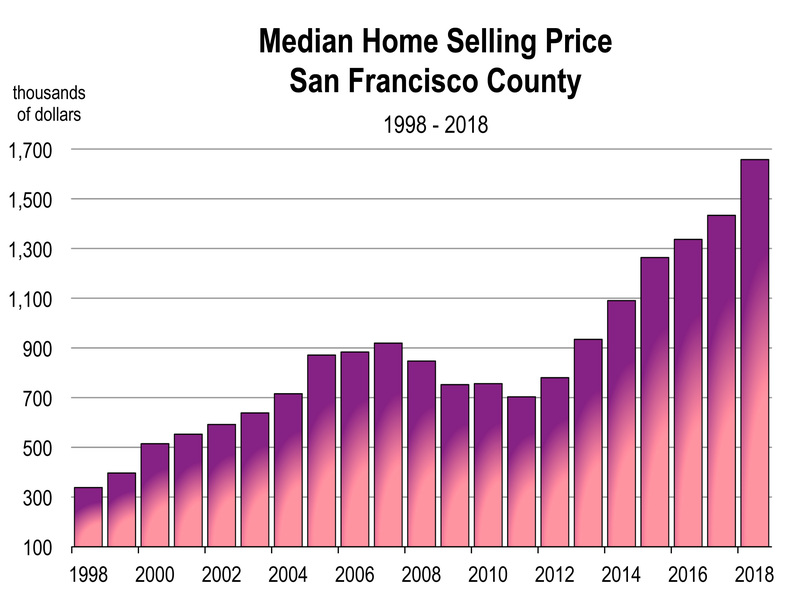 You can buy a home in most markets of the state for that amount, except perhaps the Bay Area, Santa Barbara and particular areas of Orange and Los Angeles Counties. But in general, a million dollars will buy you a house with little delay, today. If you need to fill a position in your office, you can probably get it filled right away if you are willing to offer a higher salary than your competitors, more benefits, or both. There will likely be no shortage of candidates for the job. If your budget does not allow for offering more salary or for spending more for housing, then you need a Plan B. Having to accept Plan B has you thinking “shortage,” because as we all know, Plan B is seldom preferable to Plan A and may test your maximum willingness to pay. Or what can we do about demand becoming excessively greater than supply and prices rising sharply beyond our affordability levels? Produce more of the good, which is the response of supply to excessive demand. In the case of housing, we probably can’t do that in California because of so many constraints including land, CEQA, nimbyism, and policies (or laws) that restrict building, density or both. So we are left with high prices and rents for housing and it’s likely to stay that way unless the growth of demand slows down, stops, or reverses. This might happen during the next recession like it did during the last one. “Labor shortages” are always cyclical and are therefore always temporary. The “shortage” of workers will end when the economy slows down or contracts, or technological advancements are able to substitute many robotic or automated processes for human driven activities today. This may happen sooner than you think and we may be talking about a surplus of labor instead of shortages. And in the case of water…. well that’s easy. A decent rainy and snowy year or two will dash any drought and enable us to water our lawns again.